So, while in an astronomical sense, March 20 marks the first full moon of spring, so far as the Christian church is concerned, we must put the Paschal Term on hold for a month until the next full moon, on April 19. That also occurs on Good Friday, and at sundown that same day, Passover begins. Two days later will come a rather late Easter Sunday, on April 21. An even more extreme situation will take place in 2038. In that year, the equinox will fall on March 20 with a full moon the very next day (a Sunday). So, astronomically, Easter should fall on March 28 of that year. In reality, however, as mandated by the rules of the church, Easter in 2038 will be observed as late as it can possibly come, on April 25! Adding more confusion is that there is also an "ecclesiastical" full moon, determined from ecclesiastical tables. Its date does not necessarily coincide with that of the "astronomical" full moon, which is based solely on astronomical calculations. 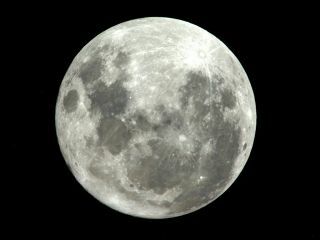 In 1974, for instance, a full moon took place on Saturday, April 6, at 2100 GMT, so Easter should have been observed the next day, Sunday, April 7. In reality, the holiday was observed on the following Sunday, April 14. So, in practice, the date of Easter is determined not from astronomical computations, but rather from other formulas, such as epacts (the age of the "ecclesiastical" moon at the beginning of a year) and the "golden number" (a value used to show the dates of new moons for each year, following a 19-year cycle). Since the beginning of the 20th century, a proposal to change Easter to a fixed holiday rather than a movable one has been widely discussed. In 1963, the Second Vatican Council agreed, provided that Christian churches could reach a consensus — the main possibility is the second Sunday in April. But the Vatican has taken no action on this. In his book "Mathematical Astronomy Morsels" (Willmann-Bell,Inc., 1997), Jean Meeus pointed out some interesting data about Easter. Easter Sunday cannot occur in March for each of two successive years. A year with a March Easter is always preceded and followed by a year with an April Easter. On rare occasions, an Easter in April is preceded and followed by an Easter in March. The last time this happened was in 1990, and the next time will be in 2085. It is possible for 10 consecutive Easter Sundays to fall in April, but since the inception of the Gregorian calendar (in 1582), this circumstance has not yet happened. It will finally happen during the middle of the 29th century, starting with the year 2856 and running through 2865. During the current millennium (2000 to 2999), the date that Easter falls on most frequently is April 16 (43 times). The date that Easter falls on least frequently is also the earliest possible one, March 22 (five times). This year's Easter date of April 21 is one of the more frequently occurring spots (38 times). Over a much longer time span, running from 2000 to 7999, the date that Easter falls on most frequently will be April 19 (231 times). The date that Easter falls the least, will once again be March 22 (29 times). Traditional names for the full moons of the year are found in some publications, such as The Farmer's Almanac. Space.com also published the full list earlier this year. The origins of these names are often traced back to Native American folklore, though they may also have evolved from old England or, as astronomy author Guy Ottewell, suggests, "writer's fancy." The March full moon is known as "Worm Moon," supposedly because when the ground softens, the earthworm casts reappear, inviting the return of the robins. Other lunar monikers included "Crow Moon," (when the cawing of crows signals the end of winter), "Crust Moon" (because the snow cover becomes crusted from thawing by day and freezing at night) and "Sap Moon" (marking the time of tapping maple trees). Editor's Note: This is an updated version of previous columns on Easter and the full moon, with new details added for Easter 2019.